It was an interesting day out. Fate had a hand in what was to happen. We were suppose to go to Stanley Market but it rained. So we decided to wait it out. The kids then decided we go on the Big Bus Tour when the rain stopped. The rain stopped and we took the Big Bus Tour. We planned to stop and take the tram to the top of the Peak but the 'Q' at the ticket station was so long that we decided to take the Star Ferry across to Kowloon. We made it to Heritage 1881 and decide to explore the area. Walking around the area led us to this shop. This is the second Panerai Boutique in Hong Kong, the other being on Hong Kong island. We decided to go in and see what was available. Who knows what is available, what being a boutique and all. 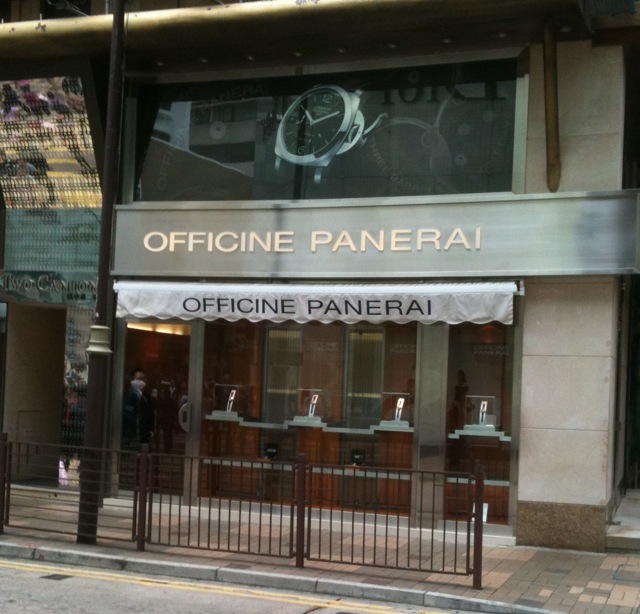 Looking around I spotted the Panerai PAM00337. I showed it to my wife (her friend has the Oro Rosa). Surprisingly she took an interest in the watch. She liked the watch as it was a Radiomir (which she likes) and the size was just right at 42 mm. We were also told that the watch has been discontinued (after just one year). We had a good look at the watch. She tried it on and I knew she really liked the watch. So what happen next? The Panerai PAM00337, Radiomir 42 mm with Panerai manufacture movement P.999/1. The case back with the display back. 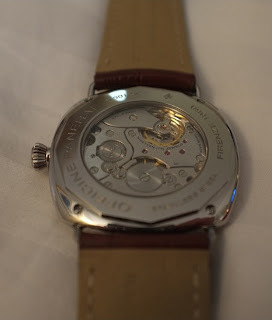 You can see the hand wound Panerai calibre P.999/1. It has a power reserve of 60 hours. 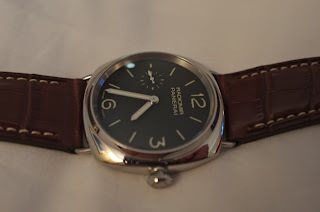 I have to say that it is indeed a very different watch from the PAM00183 Radiomir 45 mm.